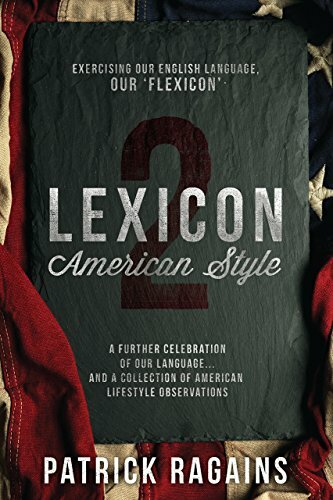 “Lexicon American Style 2,” by Patrick Ragains is the second book in a series that covers the American way of communicating. A great deal can be learned about American culture in this text. This information doesn’t just cover America as a whole, but also the different subcategories that might be found in different states or regions. The author literally covers topics from A to Z. I hate to use the word “literally,” because it is so over used, but the topics actually do range from A to Z and beyond! I found myself gaining an understanding of what words or phrases mean in parts of the country that are unfamiliar to me. Acronyms, idioms, metaphors, oxymorons, etc., they can all be found between these pages. There is also some great advice for creating an online dating account. While I am not in need of one of these accounts, at this time anyway, I found the advice presented to be quite informative. Foreigners who plan on traveling to the United States will find “Lexicon American Style 2,” to be a great resource to use while traveling around. Perhaps a better understanding of our American terminology could help prevent an international crisis from occurring or escalating! I am also considering giving this book out as Christmas gifts for my friends who have everything. They will really enjoy this one! I have an English as a Second Language instructor on my Christmas list. Perhaps, she will consider using Lexicon American Style 2, as a textbook for her class. It would also make a great bathroom reader for families who have low fiber diets and have to take time to sit around and read, whether they want to or not. In all seriousness, I do believe that reading “Lexicon American Style 2,” by Patrick Ragains will improve our use of American English. I enjoyed gaining a lot of new information and also having a chance to check my own usage. The area that I found particularly helpful was in the discussion of redundancies. Hopefully, my writing skills will improve a bit. Having a chance to gain knowledge while laughing out loud is wonderful! Readers will find this information extremely interesting and highly entertaining.